Teaching or incorporating yoga and mindfulness techniques for children or adults who have experienced trauma requires specific care and guidance. If you're interested in learning more about the basic methodology and pathways of working with this specific population, this workshop will show you the what, why and how. Perfect for yoga teachers, licensed therapists, social workers, and somatic therapists. 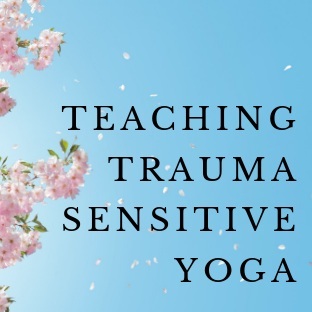 Learn and explore the background and underpinnings of trauma sensitive yoga with an in-depth PowerPoint presentation plus experience mat- or chair-based yoga postures. The class will end with ample time for dialog and Q & A. This workshop will provide state-of-the-art information about key topics in the field of traumatic stress, integrating innovative and well-established practices and areas of exploration. Yoga Alliance CEs are available for this program. Social Work CEs will be available pending approval. 5. Learn about the research findings. David Schouela, RYT-500, is a Kripalu Yoga teacher whose current primary focus is teaching yoga to teens and adults with complex trauma and chronic treatment-resistant PTSD. David is on the teaching faculty for the trauma-sensitive yoga certificate program offered through the Trauma Center at JRI in Brookline, MA. He is also a co-founder and board member of True North Insight Meditation Center in Quebec, Canada. David provides training on yoga and meditation as scientifically supported healing modalities for stress-related conditions and as means of liberating body, mind, and heart. MOVIE NIGHT: "A Mindful Choice"